Our summer reading program is over and we have survived! Instead of extended book reviews, I bring you annotations of a selection of my summer reads. I have finally found my way back to my blog. Summer reading has descended upon us like a plague of locusts and full book reviews seem unlikely for the next couple of months. So, I've decided to write short annotations of the books I've been reading instead. Leave me a comment to let me know what you're reading this summer! 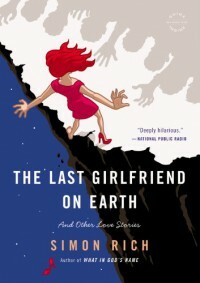 The Last Girlfriend on Earth: And Other Love Stories is a quirky book of short short stories by Simon Rich. The stories are sometimes funny and sometimes bizarre, but all carry an underlying thread of derision that left a slightly off-putting taste in my mouth. This is a book that will appeal only to a very specific sense of humor. Rich's stories are all focused on romantic relationships. Each story is caricature like, with extremely exaggerated features pointing out the absurdity of love and relationships. While the first few stories were entertaining, the sarcastic humor wore on my quickly and I eventually quit reading. This was not to my taste. The Last Girlfriend on Earth: And Other Love Stories does have several appeal factors: the very short stories within it will appeal to readers who enjoy reading in small bites and the humor is quirkily. However, Rich's rather bizarre humor will not appeal to everyone, and I found that it wore on me as the book went on. With that said, this is sure to be a hit with some readers. Read this review and more on The Library Lass Book Talk Blog. It was a wave that took everything that Sonali Deraniyagala had - her two young sons, her husband, her mother, and her father - and left her spinning in the mud. Deraniyagala had never heard of a tsunami before the 2004 disaster that changed her life forever, but it is now all she knows. Her stunning memoir is simultaneously stark and rich, celebrating both love and loss without sugar coating her daunting experience. Wave is certainly a book you have to be in the mood to read. I sobbed through each chapter, but found Deraniyagala's stark language and straightforward exploration of her life and her grief stunningly beautiful. Dereaniyagala describes her gradual acclamation to her anguish with stark honesty, leaving the reader with the feeling that they have in some way shared some part of her terrifying journey. 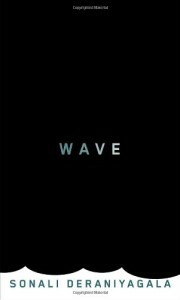 Wave is a book that will stay with you. It is not in any way an easy read, but it is a rewarding one. This is a book that will change the way you see life and loss. I won a copy of this book in a Goodreads First Reads Giveaway. 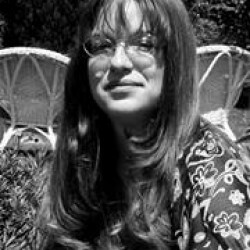 Beth Fanaskey's Buzz Kill is a young adult mystery written with obvious reverence for Nancy Drew. 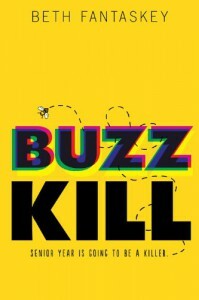 I was excited to read something fun and different, but Buzz Kill gave me no thrills. The plot is flat, the characters flaky and the resolution predictable. Buzz Kill opens with a shockingly immature high school senior's too-obviously-foreshadowing daydreaming. The victim is predictably unlikable and the terribly written heroine predictably falls in love with a suspect almost immediately while protesting far too much about admitting it. The smarmy resolution to the plot is the last in a series of disappointments. While Fantaskey had an interesting idea with Buzz Kill, I would recommend giving it a pass. The poorly written characters, predictable plot and disappointing ending made me wish I had picked up a different book. Buzz Kill is a real buzz kill. 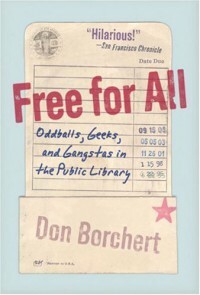 Free For All: Oddballs, Geeks and Gangstas in the Public Library by Don Borchert is the memoir of a librarian at a public library. While this backlist title is not the most compelling I've read, it does contain some good advice for new librarians and other young professionals. In Free For All, Borchert describes the often ridiculous, sometimes funny and occasionally fulfilling role of public librarians. His account is quite dry with a tendency to lose focus, but nevertheless contains some funny observations and generally good advice. This was not the most interesting memoir I've read, but it wasn't the worst either. Free For All is a decent afternoon distraction for new librarians and other young professionals. Don't expect it to change your life, but do expect some good advice. I would recommend this to anyone with an interest in what librarianship in a public library is really like. 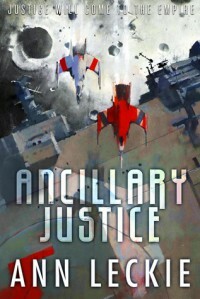 Ancillary Justice, the first in Ann Lecke's new Imperial Radch series, is the best science fiction title I've read in years. Lecke's imagined universe is both vast and focused and her characters are unique but still believable. I can't wait for the next book in this series. Ancillary Justice introduces us to the Radch, an interstellar empire that has seen better days. The far-reaching empire is beginning to crumble, with fragmentation occurring in surprising and fascinating ways throughout. While it is a bit convoluted in a few spots, Lecke's creative use of character and almost certainly unreliable narration make this one of the most original and entertaining works of science fiction I've read. Ancillary Justice is a must read for science fiction readers. Its exciting plot and creative characters make it a fast-paced and very original story. I anxiously await the next installment in the series. 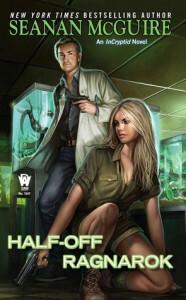 Half-Off Ragnarok is the third book in urban fantasy giant Seanan McGuire's InCryptic series. The book gives us yet another perspective shift, this time narrated by Alex Price, Verity's brother. While Half-Off Ragnarok was a reasonably fun read, it didn't fulfill my expectations. Alex is a herpetologist and cryptozoologist working in the snake house at a zoo in Ohio. When his assistant is found dead and partially turned to stone, Alex worries that the cryptids he was studying got loose. The truth, of course, is much more sinister, and he and his annoyingly Australian girlfriend investigate. Alex is not nearly as likable or interesting as Verity, who narrated the first book and a half in the series. The rest of the family - Sarah, who is recuperating from the brain damage she suffered after saving Verity in the last InCryptid book; and Sarah's fantastically imagined and truly entertaining parents - are much more likable than either Alex or the girlfriend. The plot itself was a bit thin and I still have no idea what the title has to do with the story. Half-Off Ragnarok was a fun, fast read, but ultimately did not do much for me. I have high expectations after the first two books in the series and this was a let-down. This is worth reading for the sake of continuity for InCryptid readers, but it failed to meet the usual McGuire standard. 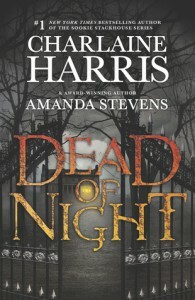 Dead of Night is made up of novellas by urban fantasy giant Charlaine Harris and romance and thriller author Amanda Stevens. This odd pairing combines an uncharacteristically dull paranormal romance by Harris with a slightly spooky suspense story by Stevens. This strange combination is both disappointing and jarring and not one I would recommend to any paranormal romance or urban fantasy fan. Harris' story, "Dancers in the Dark," is a predictable, formulaic story about - you guessed it - vampires. Harris combines themes from all of her novels - domestic violence, vampires and lurrrve - in this surprisingly boring story. No matter what your tastes, I would recommend that you skip "Dancers in the Dark." "The Devil's Footprints," Stevens' novella, is a page-turning thriller with spooky notes. As suspense, it wasn't terrible - Stevens builds a good atmosphere, but the resolution is a bit stale. I still have no idea why these two novellas were combined in Dead of Night. They had nothing to do with each other, in plot, characters, tone or even genre. The transition from Harris's dull paranormal romance to Stevens' trite thriller is jarring and neither story is really very good. This one is not worth reading. 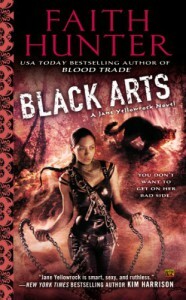 Black Arts is the fast-paced and surprisingly fulfilling seventh installment in Faith Hunter's Jane Yellowrock series. The book maintains the momentum of the series while beginning to resolve some of the central conflicts from previous installments in the series. This is a must read for any Jane Yellowrock reader. Black Arts picks up where Blood Trade left off, with Jane and Beast trapped by master vampire Leo Pellissier and at odds with Jane's best friend, a powerful witch. The book begins with the witch's equally powerful husband attacking Jane in her New Orleans home. Hunter's writing is masterful in maintaining the momentum of the series while beginning to resolve the conflicts central to the series. My only minor criticism is with Jane's reaction to the annoyingly disloyal men in her life - but then, that's part of the what makes Jane such an appealing main character. Her superhuman toughness is tempered by those too-human reactions, making Jane relatable and well-rounded. Black Arts is an exciting and satisfying romp through Jane and Beast's world. Fans of the series will almost certainly love it. My favorite heroine has once again made me anxious for her next adventure. I received The Big New Yorker Book of Cats in a Goodreads First Reads giveaway. 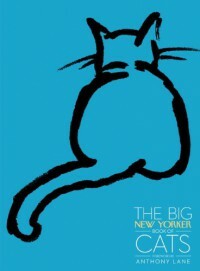 The Big New Yorker Book of Cats is a coffee table book filled with cat stories written in the unmistakable style of The New Yorker magazine. While cat people will likely find the stories charming, there is no denying their ingrained pretentiousness. This is a book that seems like a wonderful gift to give to bookish cat folk like myself, but may not be worth the bother. The stories in The Big New Yorker Book of Cats are varied, with different tones employed by writers. However, they are, in trueNew Yorker fashion, laughably overwritten and yet still quite endearing stories. While I wouldn't pay a cent for it, this was an interesting enough diversion, although I could not stick it out for more than one story at a stretch. The Big New Yorker Book of Cats is a somewhat stilted and somehow sweet coffee table book. Cat people who enjoy The New Yorker may enjoy it. However, I highly doubt this book has wide appeal. 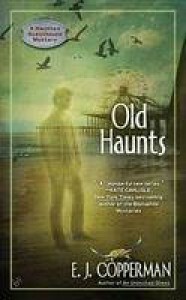 Old Haunts by E. J. Copperman is the third book in the Haunted Guesthouse Mystery series. While it is not particularly well written and does not entirely manage to transcend its formulaic nature, this is an entertaining cozy mystery worthy of a lazy Saturday afternoon. Old Haunts won't change your life, but it will provide a worthy diversion. The Haunted Guesthouse Mystery series features the adventures of newly divorced Alison Kerby, who began seeing ghosts after hitting her head while renovating her guesthouse. Copperman's books are fairly formulaic cozy mysteries, but the characters are likable and sometimes rise above their creator's rather lackluster writing skills. Old Haunts is written no better than the previous two books in the series - I took half a star for "mental notes," a phrase that belies Copperman's lazy writing - but nevertheless provided me with a couple of hours of diversion on a slow Saturday afternoon. Old Haunts, the third book in E.J. Copperman's Haunted Guesthouse Mystery series, is in no way groundbreaking. Its writing is rather poor and the plot quite predictable. However, the characters make this a fun read for any cozy mystery fan. Rachel Cantor's A Highly Unlikely Scenario, or a Neesta Pizza Employee's Guide to Saving the World: A Novel is a strange, quirky and fun science fiction novel. With an odd combination of dystopia, time travel and Jewish mysticism, Cantor follows in the footsteps of Douglas Adams with her debut novel. While perhaps not for everyone, I thoroughly enjoyed the story. The title alone - A Highly Unlikely Scenario, or a Neesta Pizza Employee's Guide to Saving the World: A Novel - sets the tone for the off-beat humor in the novel. Most reminiscent of Douglas Adams' Dirk Gently series, the story is preposterous, humorous and strangely touching. Set in a dystopian future in which humans are segregated by which fast food chain and corresponding belief they support, the story is ultimately one of faith and love, with a bit of time travel thrown in for good measure. My only complaint about the story is that it was a bit of a slow burn - I was nearly halfway through the novel before I was hooked. While A Highly Unlikely Scenario, or a Neesta Pizza Employee's Guide to Saving the World: A Novel may not be every reader's cup of tea, I found it quite enjoyable. A Highly Unlikely Scenario, or a Neesta Pizza Employee's Guide to Saving the World: A Novel by Rachel Cantor is a strange, funny and charming romp through the future, the past and Jewish mysticism. I would recommend this to fans of Douglas Adams, Robin Sloan's Mr. Penumbras 24-Hour Bookstore and Peter Clines' Ready Player One . This is a great addition to the realm of humorous science fiction. The Desert Spear, the second installment in Peter V. Brett's Demon Cycle series, is the best epic fantasy I've read since The Lord of the Rings trilogy (no, the movies most certainly do not count). While more violent than the first book in the series, The Desert Spear furthers the story in the best possible way. I highly recommend this series to any reader of fantasy. In The Desert Spear, Brett does something that elevates the story from good to great - he develops the most villainous character from The Warded Man into a three-dimensional character whose motives are understandable and even relatable. Brett uses several characters' points of view masterfully, developing the story into a believable story with characters with whom any reader can relate. While The Desert Spear is more violent than the first book in the series, the violence is neither gratuitous nor cartoonish. Brett furthers the overall series while simultaneously digging into the characters' past, a task made easier by his masterful writing. 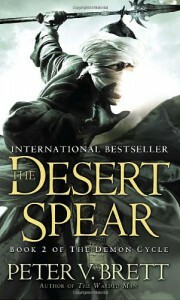 The Desert Spear is an entertaining, relatable and masterful work of epic fantasy. Brett's excellent character development keeps the plot fresh and interesting. I can't wait to read the next book in the series. 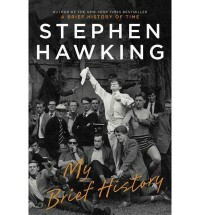 Stephen Hawking's My Brief History, narrated by Matthew Brenher, is a concise autobiography by one of the greatest minds in the world of physics. Hawking's style is rather bland, but his life is interesting enough to shine through anyway. I would recommend this book to anyone interesting in Hawking or physics. Hawking's life is filled with amazing highs and shocking lows - his achievements in astrophysics are set off by his struggle with the ever-worsening effects of ALS, otherwise known as Lou Gehrig Disease. However, Hawking does not dwell on his disability nor does he display any tendency toward self-pity. In fact, he makes a point of doing quite the opposite. He tells his story with a slant toward his true love - physics. While I do not profess to fully understand his work, he is one of the greatest minds in physics ever to live. His description of his work is quite dense and not for the layman, but it is impressive nonetheless. My Brief History is a very short autobiography that is well worth the two hours it takes to listen to the audiobook. The by Matthew Brehner narration is excellent. Despite the density of Hawking's description of his work, the story is smart and poignant.